So, where should you register for your wedding? Here’s how to decide. Creating your wedding gift registry online makes the whole process easy and stress-free—and luckily, some of the best wedding registry websites are ones you probably already know (and love!). 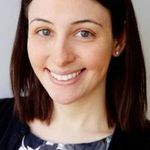 Nowadays, couples are choosing to mix and match their wedding registries—registering for traditional gift items, sure, but also adding honeymoon experiences, cash, and charitable donations to their universal wedding registry, as well. While having so many options is indeed a good thing, deciding where to start your online registry and finding wedding registry tips can be a bit daunting. First things first, create a universal wedding registry. Instead of focusing on individual retailers at first, focus on finding the best universal wedding registry. WeddingWire Registry lets you add and manage traditional retail registries at both online and bricks-and-mortar stores from Amazon to Macy’s (hello, china and champagne glasses! ), while also allowing you to add experiences (think: honeymoon massages or theater tickets) and cash (perfect if you’re planning a major purchase, like a house or a car) in the very same registry. 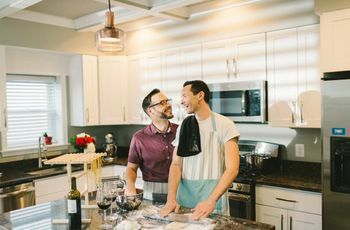 The process is super-simple—and the fact that you’ll have a single, streamlined universal wedding registry will make things easier for your guests, too. Now comes the fun part—choosing the best wedding registry websites from which you’ll choose all the gifts you’ll receive. Then, determine the right major retailer or retailers for you. Here are a few of the best wedding registry websites. Whether you need to fully stock a new home or would prefer to create a gift registry that includes nontraditional items, Amazon is a great place to start. You’ll find everything from homewares to luggage, electronics, and more. You’re probably already familiar with Amazon’s fast shipping—great for couples who are getting married on a shorter timeline—and easy returns. And if you’re a Prime member, you’ll receive a one-time 20 percent discount for any items left on your registry after your big day. 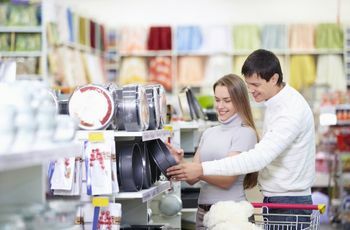 If you and your partner are starting from scratch when it comes to outfitting your home, Bed Bath & Beyond is one of the best wedding registry sites for you. With so many store locations, you can scout out the items you want to add to your online registry in advance. And since your guests are probably familiar with Bed Bath & Beyond already, they will love the ability to use their frequently-offered coupons on your wedding gifts! Bed Bath & Beyond also offers a discount on any items you don’t receive from guests that you may want to purchase yourself post-wedding. You can get a lot done at Macy’s for your wedding—from setting up your registry to buying that perfect rehearsal dinner outfit. But that’s not the only reason it’s one of the best wedding registry websites. If you have a Macy’s card, you can reap lots of benefits from their Registry Star Rewards—getting 10 percent reward dollars on most purchases you make, and 5 percent reward dollars on most Macy’s registry gifts you receive. So if you receive $1,000 worth of registry gifts from Macy’s, you get $50 back! Creating and tracking your Macy’s registry online is super-easy to do, plus you get the benefits of in-store help and special events, too! Is home decorating your passion? 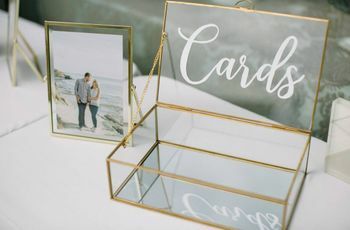 If so, you should definitely set up your wedding gift registry at Wayfair, which has an incredible array of home décor, furniture, and of course, registry staples like kitchenware, linens, and more. Wayfair also makes it easy for your guests to purchase those big-ticket items (new couch!) by allowing for easy group gifting. And if you need help with your registry, they have a dedicated team of registry specialists ready to assist you. Wayfair also offers a 10 percent fulfillment discount. We love the modern and clean aesthetic of Crate & Barrel’s product line—plus all of the retailer’s unique wedding registry perks. For example, you’ll get a 10 percent discount for a full six months after your wedding—not just on products you register for, but on pretty much anything from their store (including furniture!). Your friends and family will love receiving free shipping on any registry purchase over $99. Special gifts and events are added bonuses, too! If you’re a fan of the red bullseye, you’ll be delighted to know that setting up an online registry at Target is a breeze—it’s one of the best registry sites around. There’s a wide variety of products to choose from—lots registry staples, of course, but also items you won’t find at other retailers. Plus, you’ll be able to reap the benefits of Target’s easy returns—you can return and exchange items from your registry for up to a year after your wedding. Target also offers a 15 percent discount on anything left on your registry post-wedding.